Screaming fights. Destructive behavior. Volatile moods. 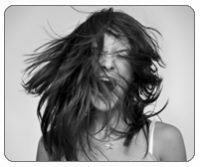 Do your child’s anger and rage make you feel exhausted and out of control? In a recent Empowering Parents poll, Angie S. commented, “I walk on eggshells around my 15-year-old son. It’s embarrassing to admit, but I’m afraid of his explosive temper.” In that same poll, more than 50 percent of respondents said that they end up “losing control and screaming back” when their child’s anger reaches the boiling point. But matching your child’s rage with your own angry response is not the answer. Janet Lehman, MSW, explains why—and tells you how to form a plan to help you handle their behavior. By getting you to tiptoe around him, your child is teaching you to behave differently—he’s training you to anticipate his angry outbursts. Even if emotions are running high, work to calm yourself down. Talk to your child in an even tone of voice. Tell him that his behavior is unacceptable and that you’ll speak with him when he’s calmed down. Model good behavior for your child. Remember, kids learn from their parents, which is another reason you want to remain calm. You’re teaching him appropriate ways to manage stressful situations. If your child is screaming things at you, calling you names, or saying you’re “the worst parent in the world,” do not respond to it. Simply leave the room or send him to his bedroom. Don’t yell back at your child because it will bring you into his rage and make you the focal point of his anger. The time to talk is when you and your child are both calm. If he’s yelling in his room, he should not be getting your attention, period. Though it seems like you’re ignoring the behavior in some ways, later you will definitely want to let your child know that his behavior is not acceptable. Tell him there are better ways to deal with anger than losing control. You might also have your child make amends if he broke something or hurt someone else. If your child is very young, you may want him to draw a picture that says, “I’m sorry.” If your child is older, you want to ask him to do something more meaningful for the person he wronged. Never give consequences for the feeling of anger—focus on the angry behavior instead. It’s important to give your child the message that it’s okay to feel angry. If your child is screaming and yelling but not breaking anything or hurting anyone, there would be no reason to give consequences. If your child has just begun to lash out in rage when angered, it’s likely that these five steps are going to work fairly well—especially after you go through them a few times. Your calm, matter of fact response is going to teach him that explosive anger is not the way to deal with his frustration. If the behavior has been going on for a long time and it’s more ingrained, however, prepare to go through these five steps repeatedly until your child knows that you mean it. Some kids’ rage is long-standing—in other words, they’ve been engaging in this type of behavior repeatedly, sometimes for years. This is when you need to learn about your child’s triggers. Once your child has calmed down, talk with him about his explosion. Ask, “What happened before you blew up today?” If your child comes home angry after school in a volatile mood, you might have to call his teacher and find out if there was a problem that day. Ask pointed questions like, “Was my child picked on? Did he do poorly on an assignment? Was he disciplined in class?” But remember, even if your child had a terrible day at school, it doesn’t excuse his behavior at home. After all, there are other ways to deal with having a bad day than by calling his siblings foul names, screaming in your face or kicking a table over. Many parents of oppositional, defiant kids walk around on eggshells around their children, trying not to upset them. I think it’s completely understandable why you would get into that habit. But remember, your child isn’t learning to behave differently when you do this. In fact, by getting you to tiptoe around him, he’s teaching you to behave differently—he’s training you to anticipate his angry outbursts. So instead, do the things that you would normally do—don’t alter your behavior to suit your child’s moods. And again, have that rage plan and respond to your child’s behavior accordingly. When you talk to your child about his triggers, always ask, “How are you going to handle this differently next time?” That’s the real purpose of looking at triggers—to help your child better understand them so he learns to respond differently the next time he gets angry or frustrated. The most important thing to remember is that helping your child deal with his anger now will help him manage these feelings later on in his life. With some kids, their explosive anger escalates until it becomes destructive. If your child breaks his own things during one of his rages, he should suffer the natural consequences of losing those items—or he should be made to replace them with his own money. Even a young child can help with the dishes or do chores around the house to earn things back. If your child is older, he can pay you back with his allowance or money from his part-time job. This is a great lesson because your child will clearly see that his behavior caused the problem: He threw his iPod against the wall—now he doesn’t have one. Let me add that if your teenager is breaking your things or being very destructive in your house—threatening you, punching holes in the walls, kicking in doors—this is another matter entirely. If your child is doing significant damage when he loses his temper, or if you’re feeling unsafe, I recommend that parents call someone in, like the police. Look at it this way: If you don’t do anything to protect yourself, other family members, or your home, what’s the message that’s being sent to your child? He will learn that he’s in complete control—and that the best way to get what he wants is to be destructive. Keep in mind that you should never try to talk to your child in the middle of a rage or tantrum. Any attempt to respond to him at that point will just wind him up and reinforce his anger. Additionally, your child is not listening very well at that time. Your attempts to reason with him, lecture or talk to your child about the issue at hand aren’t going to sink in if he’s in the middle of a rage. Instead, give short, clear, calm directions. Say, “This is not Okay. You need to go to your room until you can get it together.” If you have screamed back in the past or reacted angrily to your child, really practice that calm voice. If this is a challenge for you, try practicing what you will say ahead of time. Does My Child Have a Mental Health Problem? 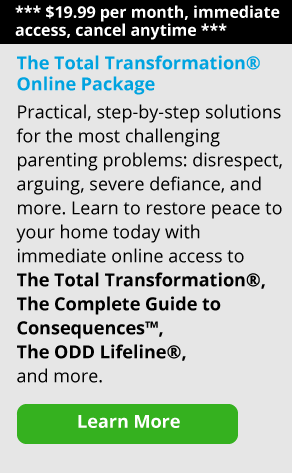 If at any point you feel like your child’s behavior is beyond a normal temper tantrum, or if you really can’t hang in there any longer as a parent, be sure to seek the help of a professional. I want to stress that having these behaviors doesn’t necessarily mean that your child has a mental health problem. Child anger is a normal emotion but one that people usually have a difficult time expressing and responding to. Whenever there is a doubt in your mind, talk to your child’s pediatrician or trusted health care professional. If your child doesn’t respond even though you are consistent with your plan of action. Often the counselor will help you continue to work on your plan and will reinforce these ideas during counseling. If your child isn’t able to deal with his triggers, counseling might be in order. If anxiety is the trigger, for example, he will need a better way to react when he feels nervous or embarrassed. Remember, you can always change your behavior as a parent. Don’t beat yourself up if you didn’t handle things the way you wanted to when your child lost control in the past. Maybe you screamed back or gave in when they had a tantrum or lost their temper. But none of us automatically knows how to deal with everything our kids do—it’s easy to panic. So give yourself a break and practice your plan and your calm response to your child. It will take time at first and you will have to do it repeatedly, but it will work eventually. Don’t feel bad if you were less effective in the past; you can always start being more effective today.